Policing Insight is published by CoPaCC, an independent organisation established shortly after the first Police and Crime Commissioner (PCC) elections in November 2012 to monitor policing governance in England and Wales. CoPaCC initially published a regular, subscriber-only Policing Report with analysis of PCC activity as well as strategic level policing developments. Reports were also produced on key areas of PCC activity such as Statutory Transparency, Partnerships, Public Engagement and Innovation. This allows you to read selected articles and reports marked with a green label. You can also receive the weekly newsletter and post comments on articles. Try registering with your work email address – you may get full subscriber access if your organisation already has a subscription. 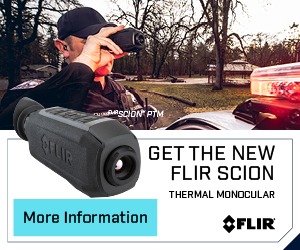 Purchased through the website with prices for article only access or full access including reports and the Media Monitor service. CoPaCC launched Policing Insight in May 2015 to provide a platform for stakeholders in policing and criminal justice to share knowledge, insight and opinion. Our content covers the full width of policing and criminal justice topics including policy, practice, crime and technology via articles, reports and our valuable Media Monitor service, a searchable database of news, analysis, opinion and reports from national, local and specialist press as well all the key policing and criminal justice organisations. Our readers and contributors reflect the necessary collaboration between police and criminal justice organisations, the third sector, industry and academia to find progressive solutions to the significant challenges in policing and criminal justice. In addition to two editors and a network of researchers and specialist journalists, Policing Insight has hosted articles from over 400 guest contributors with expertise in the police and criminal justice sector. CoPaCC is proud to serve the police and criminal justice community, with a growing number of police forces/OPCCs and relevant government agencies, academic institutions, charities and industry taking up organisation wide subscriptions. Key organisations such as HMICFRS, College of Policing, APCC, SPA and Police ICT Company use Policing Insight as a valuable resource. 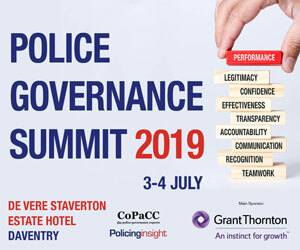 We are further enhancing our services to the police and criminal justice community and we were proud to launch the first annual CoPaCC Police Governance Summit in June 2018. Tina commissions, edits and writes articles for Policing Insight. After an initial career as a police scenes of crime officer, Tina retrained as a journalist and began her career on Jane’s Police Review in 2000 as a staff reporter. She became a freelance police and crime journalist in 2004. Since then, Tina has written for the Home Office, the Crown Prosecution Service, the Police Federation of England and Wales, as well as national newspapers and magazines. She has edited the Police Federation’s Police magazine, has had three books published and writes crime fiction in her spare time. Carina O’Reilly is Policing Insight’s editor with a particular focus on research and academia. She worked at IHS Jane’s for seven years as a writer, editor and senior analyst on European security and organised crime. A specialist on policing, politics and security issues in Europe, Carina is a Lecturer in Policing and Criminal Justice at Anglia Ruskin University, with research interests in police legitimacy, accountability and neighbourhood policing. She also teaches politics at undergraduate level at the Institute of Continuing Education at the University of Cambridge. Carina took her first degree at Cambridge University in Social and Political Sciences and holds a Masters in Strategic Studies from the University of Wales, Aberystwyth. Ian is responsible for CoPaCC’s publishing strategy including platform, content and commercial development. An experienced publisher and commercial manager, Ian Barrett has spent the past 16 years publishing magazines and websites in the police and security sectors including Jane’s Police Review and Police Oracle before developing Policing Insight for CoPaCC. Ian continues to develop CoPaCC’s publishing strategy to engage our community of police and criminal justice leaders via Policing Insight and CoPaCC events.